We went to Montana to visit friends. They live in a hillside house that overlooks Flathead Lake. 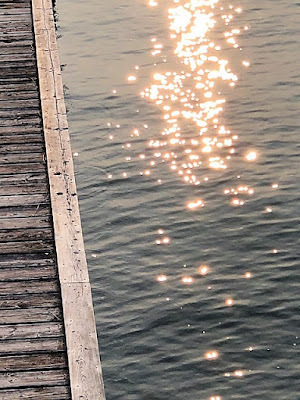 There’s a dock made of weathered wood that reaches east toward the morning sun. The light dances like diamonds on the glacial water. We faced the smoke-shrouded mountains from a spot so small that it is merely a Census Designated Place (CDP). In the distance on Wild Horse Island, bighorn sheep and mule deer ambled around with the occasional brown bear, although we couldn’t see them. The property has been in the family for several generations. Therefore, a great-great grandmother who taught at the local school must certainly have run into Frank Bird Linderman, who came to the territory in 1885 from Elyria, Ohio, at the age of 16. Working as a trapper, in search of adventure, he was one of millions to whom the West beckoned as the American century loomed on the horizon. Married in Missoula in 1893, the father of three children, Frank went on to be an assayer, furniture salesman, journalist, sculptor, and politician. But it was the culture and history of Montana’s Native Americans that became his passion. 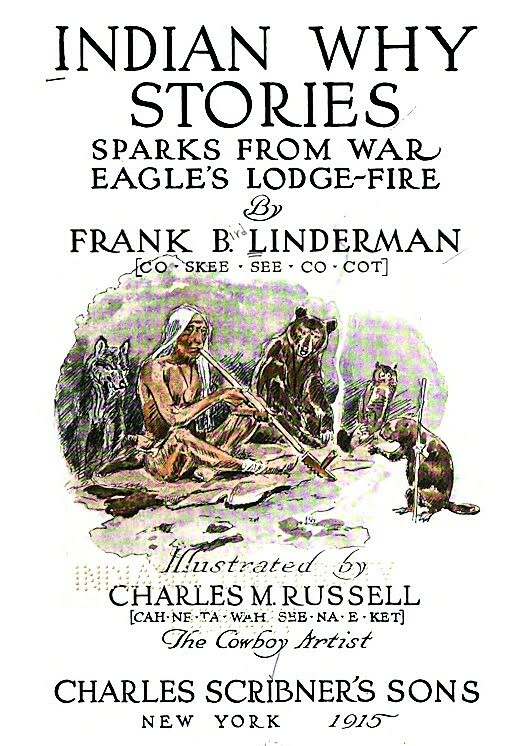 By 1917, when Frank built a cottage for his family on Flathead Lake, he had already published his first book, Indian Why Stories: Sparks from War Eagle’s Lodge-Fire. “Why the Chipmunk’s Back is Striped,” he explained in one story; “Why the Mountain-Lion is Long and Lean,” “Why Indians Whip the Buffalo Berries from the Bushes,” and much more. Western artist Charles Russell, widely admired for his paintings of cowboys and Indians, was Frank’s good friend and illustrated his books. The Flathead, Kootenai, Chippewa, Blackfeet, Cree and Crow – Frank interviewed members of the tribes using sign language and interpreters. The legends he learned appeared in Bunch-Grass and Blue Joint (1921), Plenty-Coups, Chief of the Crows (1930) and his other books. Among Native Americans, Manitou is a Great Spirit, a life force, the creator. Manitou also refers to the things that are most valued in life. Manitou is a celebration of wonderful occurrences. It is a rite of passage. It is stumbling across a huckleberry bush on the way up the mountain, and the glint of a rainbow trout in the Flathead River. *Linderman was not alone in his desire to document the lives of Native Americans. The photographer and ethnographer Edward S. Curtis launched his North American Project around 1900, ultimately producing 40,000 photographs of 80 tribes, 10,000 wax recordings, and the 20-volume book, The North American Indian. **Frank Linderman died in California in 1938 after years of poor health. This strikes me as exactly the kind of book my father might have gotten for his 9th or 10th birthday, and read under the covers for several years, or aloud around the fire at boy scout camp.